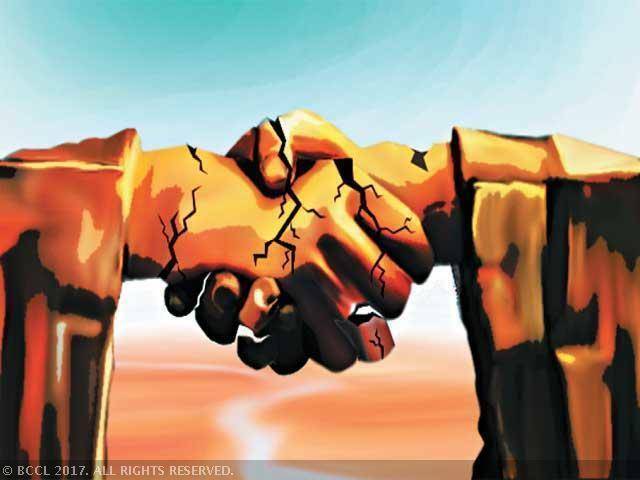 MUMBAI: L&T Realty, the real estate development arm of Larsen & Toubro, has entered into an agreement with Nirmal Lifestyle Developers to jointly develop a nearly 20-acre land parcel in Mumbai’s north central suburb of Mulund. The proposed development will be funded by L&T Finance to the tune of Rs 570 crore out of which the NCD’s issued from Green Maiden A 2013 Trust, Kotak Investment Advisors and INQ Holding LLC — acting through Debenture Trustee IDBI Trusteeship Services — will be repaid to the extent of around Rs 400 crore and the balance is expected to be used for the project. The project, which has saleable development potential of around 3 million sq ft, is expected to generate estimated revenue of around Rs 5,500 crore over the next 7 to 8 years. L&T Finance will be repaid through the revenue of this proposed joint development. According to Dharmesh Jain, CMD, Nirmal Lifestyle Developers, the company has more than 1 crore sq ft of balance development potential in Mulund and the developer is planning to line up more such partnerships with other established companies. “We are in talks to execute more such partnerships going forward,” Jain told ET. L&T Realty confirmed entering into a joint development agreement with Nirmal Lifestyle. On March 23, ET had reported that the developer was looking to monetize its land parcels including the said 26-acre plot on LBS Marg. Nirmal Lifestyle had been exploring all possible options to monetize the company’s land parcels. However, it was keen on a joint development pact as it would help the company get future revenues apart from an upfront payment. Recently, the Debt Recovery Tribunal (DRT) had directed the developer not to sell any of its properties and Nirmal Lifestyles was asked to disclose all movable and immovable assets in response to a petition filed by IDBI Trusteeship Services. The objective behind the proposed transaction is to support part repayment of the company’s debt currently at more than Rs 1,800 crore with an annual cost of debt of about 20%. The developer had acquired the said land parcel in Mulund (west) from another Mumbai-based realty developer in 2005. The integrated residential township with total 2,000 apartments will be developed in several phases and handed over in a period of 7-8 years. The project launch is expected over the next 4-6 months after which it will be self-funded. In the proposed joint development agreement, Nirmal Lifestyle will be responsible for land and permissions, while L&T Realty will take care of development, execution and marketing of the project.